Back Up’s Dragon Boat race events offer a fantastic opportunity to take part in a team building activity in a relaxed and fun (if slightly competitive!) environment. It’s also a great way to raise money towards Back Up’s work allowing us to reach the 20% of people who aren’t currently receiving our support. In addition to the races on the water, we will have some of our volunteers teaching wheelchair skills and building disability awareness through a wheelchair obstacle course. 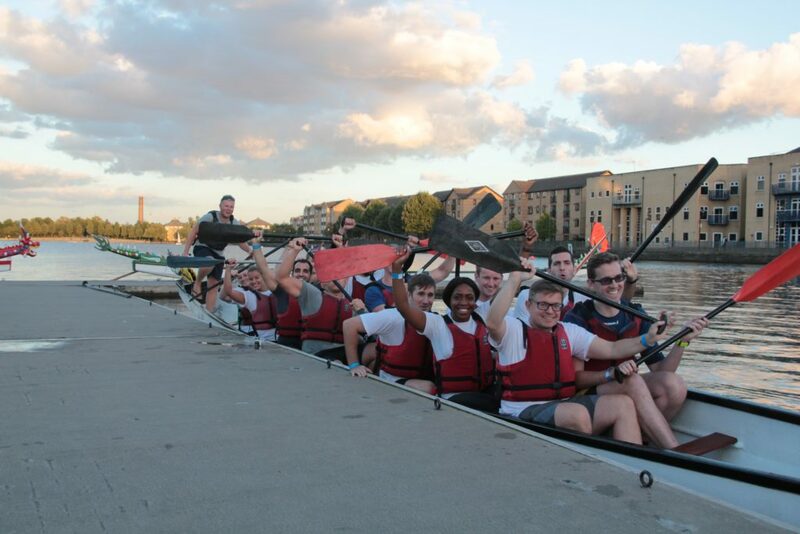 Sign up to find out if you have what it takes to be the fastest dragon on the water! There is a small registration fee to cover event costs, and we ask each team member to raise £100 minimum sponsorship or your company can cover everything. Once you have signed up, set up your mydonate page to start your fundraising. Fastest teams go through to a head-to-head final. We take photos and video at all Dragon Boat Race events for use in Back Up’s fundraising and marketing materials. If you want to find out more about how photos and videos will be used, or if you’re attending this event and do not wish to be featured, please contact our corporate partnerships team using the details at the bottom of this page. To find out more and to register interest, please contact Tim by email or call him on 020 8875 1805.